Brick 2-story home in country setting. 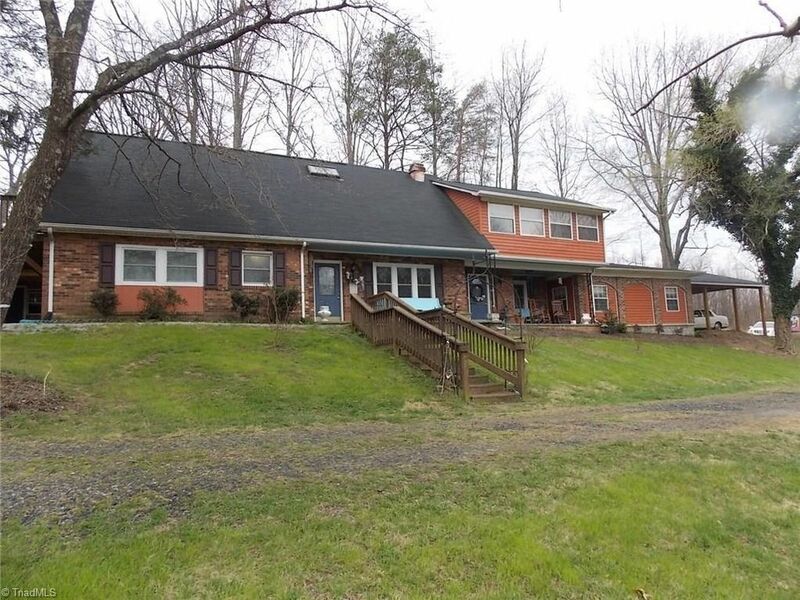 Home has been remodeled, all on 1.68 acres +/-. Large living room and family room. Fireplace in each room with gas logs. Home has 4 bedrooms and 4 baths, 2 kitchens one on the main level, one upstairs. Beautiful hardwood floors. 2 storage buildings with power, one with carport. 2 car carport detached. Many, many updates. All appliances stay. Must see this one. Directions: Hwy. 52 South, Turn right onto Holly Springs exit, Left across bridge, Right on Reeves Mill Road, Turn left on Chestnut Ridge Road, House on left, Sign in yard.